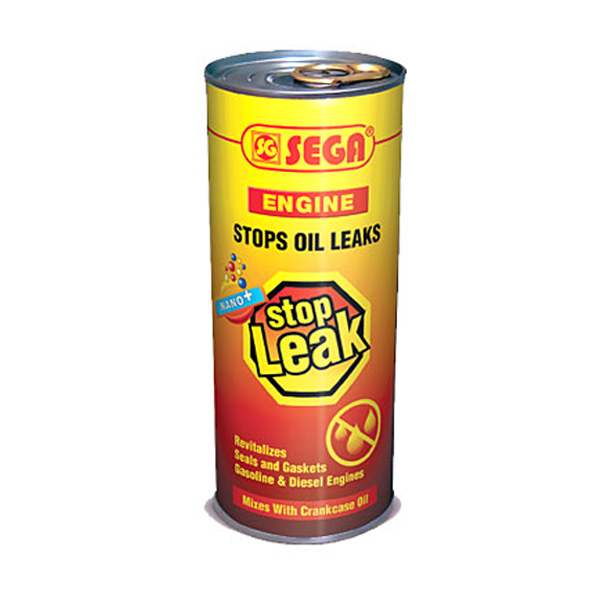 SEGA Engine Oil Stop Leak is an oil soluble supplement designed to stop and prevent engine oil leaks without dismantling. - Stops and prevents oil leaks without dismantling. - Revitalizes rubber and neoprene seals of crankshaft, camshaft and valve stems. - Compatible with all mineral, synthetic, single and multi-grade oils and suitable for regular and low SAPS applications. - Does not harm catalytic converters. - Does not influence oil quality or viscosity. Recommended for all petrol and diesel engines of vehicles with or without turbocharger and stationary equipment which su?er from oil loss.